How annoying is it when you have just created or amended an item in SharePoint, and you immediately get an Alert email about it? You know the kind of situation: you might be working in a team list, you have the list set up to alert you when an item assigned to you is added or amended, so as soon as you add or amend an item yourself an alert email pings through to your inbox. Completely unnecessary inbox clutter. So, lets switch off those annoying “alerts to myself” – has to be an easy one click operation, right? 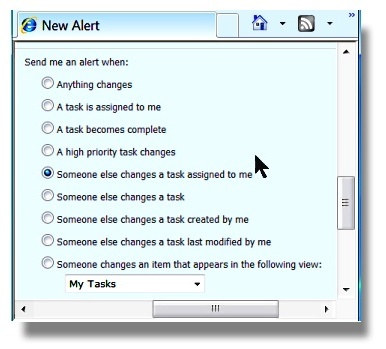 OK, so that’s fine, just select “Alert Me ” from the “List Actions” drop down and then from “Send me an alert when” we need to select the “Someone else changes an item assigned to me” option. Nice and easy. 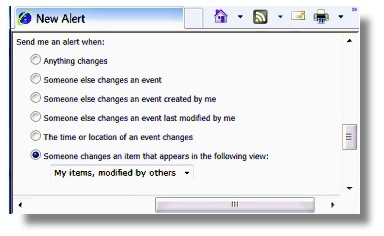 Oh dear, the option we need “Send Alert when Someone else changes an item assigned to me” simply doesn’t exist. 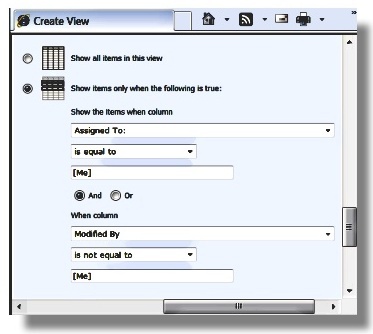 Even though there is an “assigned to” column in the list. 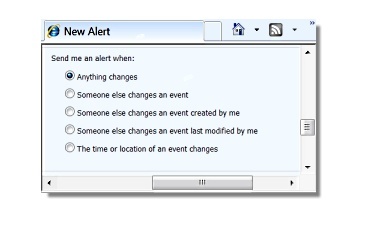 It’s the same story with any other list – there is no simply one click mechanism to turn off alerts to yourself. So how do we do this then? Well you need to set up a filtered view. Call it something like; “My Items, Modified by others”. So, it’s do-able, but its a bit of a hassle. In order to simply switch off alerts to yourself, for items assigned to you that you have just created or amended you need to create a filtered view which you wouldn’t really need for any other reason. And the alert will have to be set up individually for each user of the list who needs this functionality. This annoying little glitch doesn’t just apply to SharePoint out of the box alerts, as far as we are aware you will also have the same problem in all the 3rd party alert enhancement tools on the market. 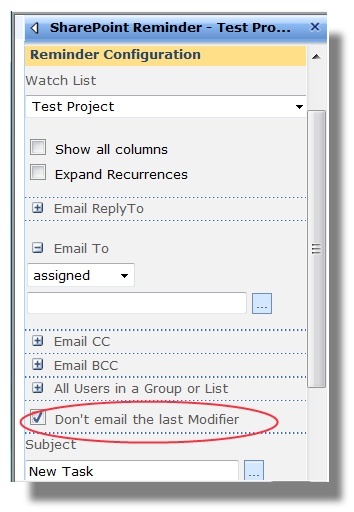 Ticking the “Don’t email the last modifier” box will solve the problem in one click, for everyone on the list. We hope it makes you working day just a little bit easier. This feature comes with newly released Reminder v1.7.6.